Questions Landlords Should Ask When Choosing a Real Estate Agent? 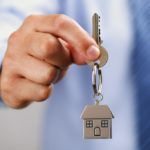 Are you a landlord looking for a Real Estate Agency and Property Manager to manage your property? Then there are a number of questions you need to ask your agent before deciding to appoint an agent for your rental property. Here are the top 8 questions you need to ask your prospective Property Manager. Is the owner of the Real Estate Agency actively involved in the Rental Property Management? Does the Property Manager play an active role in inspections of their landlord’s properties? How long has the Property Manger been working in the local Real Estate Industry? What suburbs does the Property Manager Operate in? Are they familiar with your local market? What is the Real Estate Agents system for performing background checks and analysis of prospective tenants for your property? How large is the Property Mangers portfolio of rental properties? Do they have the time required to be dedicated to your property? What is the Real Estate Agents arrangement for monitoring whether rental payments have been made and what is the procedure for addressing late or missed payments? How many days a week does the Real Estate Agent have Property Managers that can dedicate time to showing your property through inspections and arranged appointments? Impact Property Management Group have over 17 years’ experience in the local real estate industry with extensive knowledge of the Mornington Peninsula, Frankston, Mt Eliza, Mount Martha and Frankston South areas. Our Directors also work as dedicated Estate Agents and Property Managers and we have a highly sophisticated electronic system which allows you to monitor your property 24/7. If you’re looking for a dedicated Property Manager to manage your rental property, contact us at Impact Property Management Group for unrivaled service and a commitment to excellence.